As the product of a landlocked place north of Italy with pretty but exhaustingly windless lakes, my clock ticks differently than it would had I grown up around Rhode Island&apos;s Narragansett Bay. Long before stories about Capt. Nathanael Greene Herreshoff and his sleek yachts seeped into my consciousness, cars designed by Ettore Bugatti topped my lust list. Maybe I just had too much fun letting his name roll off my tongue. As I learned about Capt. Nat and the Herreshoff Manufacturing Co. on Burnside Street in Bristol, R.I., where he conceived, built and splashed his creations, I began to think of him and Ettore as soul mates. Both advanced technology in pursuit of success on the racecourse. Both defined what&apos;s considered elegant and classic. Both were blessed with geniality, which made them icons - so much so that their legends continued to grow long after their lives ended. Both brands exist today, though in different fashion. While Bugatti turns out ultra-fast, ultra-techie, ultra-pricey sports cars, Herreshoff Designs, a company that was co-founded by Herreshoff&apos;s grandson, Halsey, stays closer to its traditional roots. Last year, the company reissued an updated version of the original Alerion, one of Capt. Nat&apos;s most inspiring designs. It defined the idea of the daysailer back in, oh, 1912 and has indirectly given rise to a genre that has buoyed many sailboat builders. 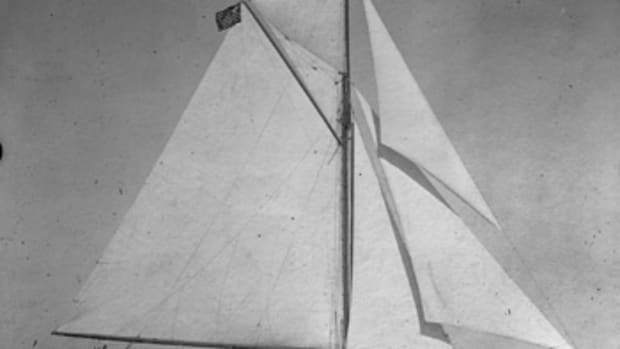 This summer, Herreshoff Designs is launching the Herreshoff 20, an open daysailer that can be traced to the Herreshoff 12-1/2, a small keelboat Nat designed in 1914. He did so at the request of Robert Emmons, who wanted a boat to train youngsters on the often-choppy waters of Buzzards Bay, Mass. Hence, the 12-1/2 also was called the Buzzard&apos;s Bay Boys Boat. Herreshoff Manufacturing built 364 through the years, an impressive number that, of course, predates the serial production of fiberglass boats. The 12-1/2, which turns 100 in 2014, continues to enjoy a loyal following and is still being built in different variations in New England by Cape Cod Shipbuilding Co., Doughdish LLC and Artisan Boatworks. 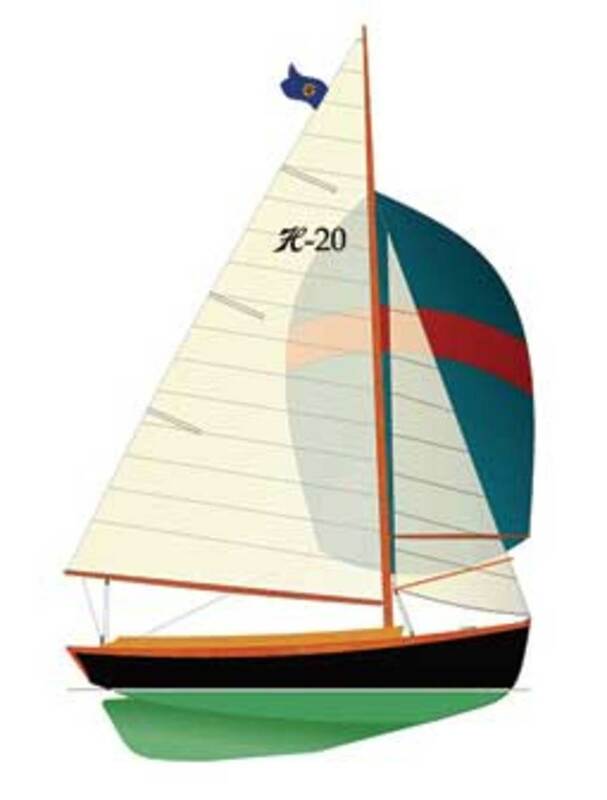 Despite the 12-1/2&apos;s apparent success, Nat was thinking of a replacement, according to Herreshoff Designs, so he fashioned a half model in 1928, identified by the number 204. 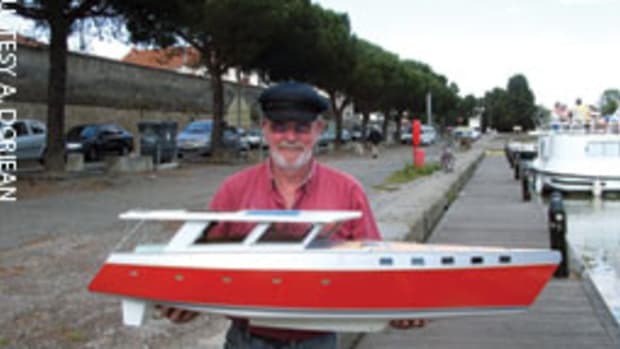 A company press release states: "In his notebook he described it as a &apos;pleasure sailing keelboat to replace the Buzzard&apos;s Bay Boys Boat.&apos; But it was never built in his lifetime and sat unnoticed for nearly 80 years." This assertion was scrutinized by several Herreshoff aficionados because records indicate that in 1929 one hull was built from half model 204. I asked yacht designer Adam Langerman, a principal at Herreshoff Designs, to clarify the matter. "Fano, hull 1133, was built by HMCo and used the same model as the H-20, except for the sections aft of the rudder stock," Langerman says in an e-mail. "This resulted in a boat that more resembled the 12-1/2, with a large transom, transom-hung rudder and no overhang aft." Langerman suggests the Herreshoff 20 is not just larger but also faster, drier and more comfortable than the 12-1/2 - thus, much closer to what Capt. Nat had in mind. "For this project we measured the model and used the original NGH drawings and notes, which only exist in the NGH Model Room collection. They are owned by Halsey Herreshoff and were loaned for display to the Herreshoff Museum. Our feeling is the original intent of this design closely matches [what] many sailors are looking for today, and our goal is to build it as originally intended." Langerman is not alone when he calls daysailing the "most successful form of getting out on the water" for a clientele that seems to have less time and more choices to do fun things. Capt. Nat, a prolific designer and the fastidious boss of a busy boatyard, knew how difficult it was to make time for sailing. In 1912 he designed and built Alerion as his private boat, which he kept at the pier, ready for a quick spin in Bristol Harbor after a hard day&apos;s work. 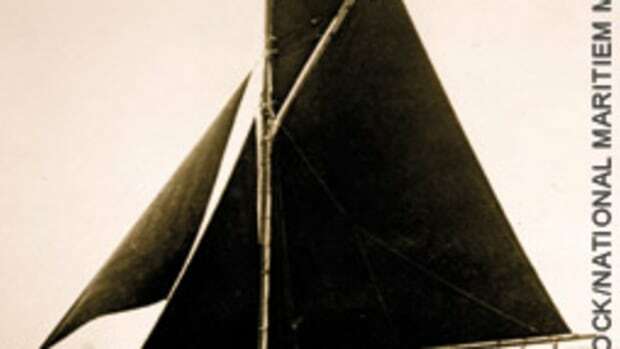 He wanted to be able to go alone or with company, so the boat had to meet specific requirements: simplicity for getting under way quickly, a large and comfortable cockpit, functional controls and a manageable sail plan. Sound familiar? Capt. Nat sculpted hull shapes by carving half models from blocks of soft wood. He then measured the offsets and recorded them in a booklet. 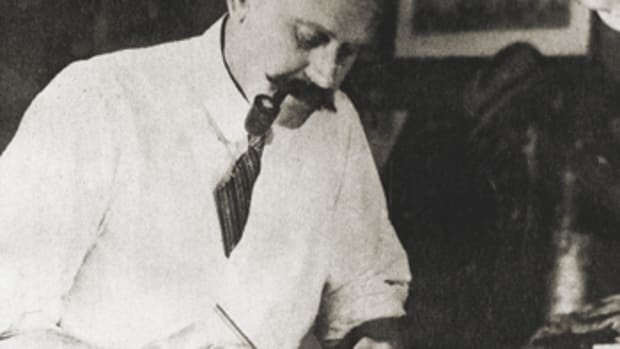 Langerman and Halsey Herreshoff did the same for the H-20, taking the offsets from half model 204, and then resorted to digital help, feeding the coordinates into the Rhinoceros design program to develop a 3-D hull shape and construction plans. Herreshoff Designs licensed Dan Shea of the Bristol Boat Co., which is across the road from the Herreshoff Museum on Burnside Street, right where Herreshoff Manufacturing used to be. Shea is an experienced builder and a restoration expert. "I&apos;m restoring Herreshoff 12-1/2s but fell in love with the refined lines of the 20," he says. "My instincts tell me that it will be a great boat." The vessel&apos;s specifications call for white cedar longitudinal planking with Spanish cedar diagonal sheathing and Douglas fir backbone, frames and floors. "All the traditional parts are laminated," Shea says, "but the skin is adhered to the structure, not fastened." Hull and plywood deck are sheathed in 10-ounce fiberglass mat, with the contrast of a traditionally built coaming of white oak and a teak cockpit sole. The goal is the approximation of the experience as it would have been BF - or before fiberglass - with some help from modern materials that help to produce a light and strong structure, such as epoxy resin. The raw hull, Shea estimates, will weigh roughly 275 pounds. 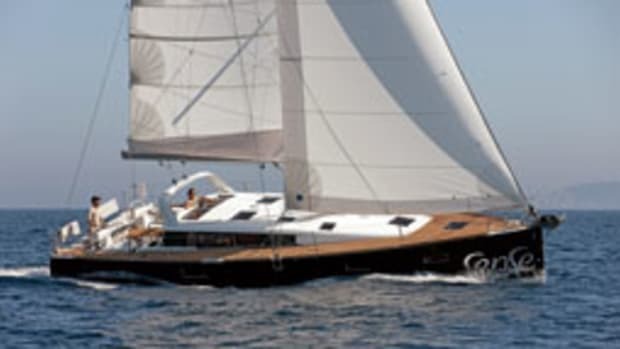 With its 17-foot waterline, the boat is expected to have a good turn of speed and will accommodate the skipper plus a handful of guests in a deep and spacious cockpit. Sailing, Langerman says, is a sensual experience that also should satisfy olfactory and acoustic senses. For this reason, the principals at Herreshoff Designs are betting that smelling wood and hearing the muffled sound of water hitting the cold-molded hull will resonate with customers who are ready to leave the pure plastic experience behind. To be competitive among the fleet of daysailers that seek to blend traditional looks with modern performance and convenience, Herreshoff Designs wanted to strike a balance that appeals to traditional and somewhat more progressive tastes. For instance, the rudder head is bronze and the tiller is varnished ash, but the rudder blade is made of composite material. 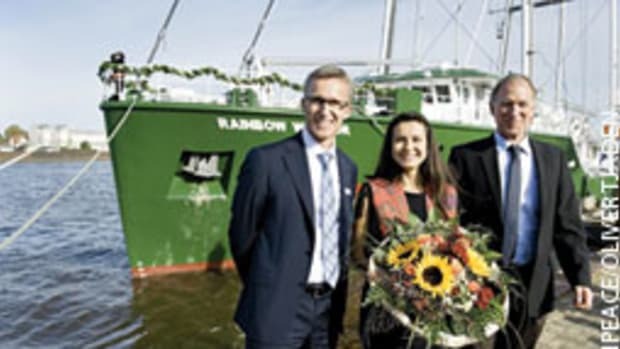 "The standard boat comes without engine," says Peter Sterrett, who handles marketing at the company. "That&apos;s the tradition. But as an option we offer 2.5-kW Mastervolt electric inboard propulsion with two AGM 12-volt batteries and a feathering two-blade prop." The hardware also reflects the traditional spirit and is made by J.M. 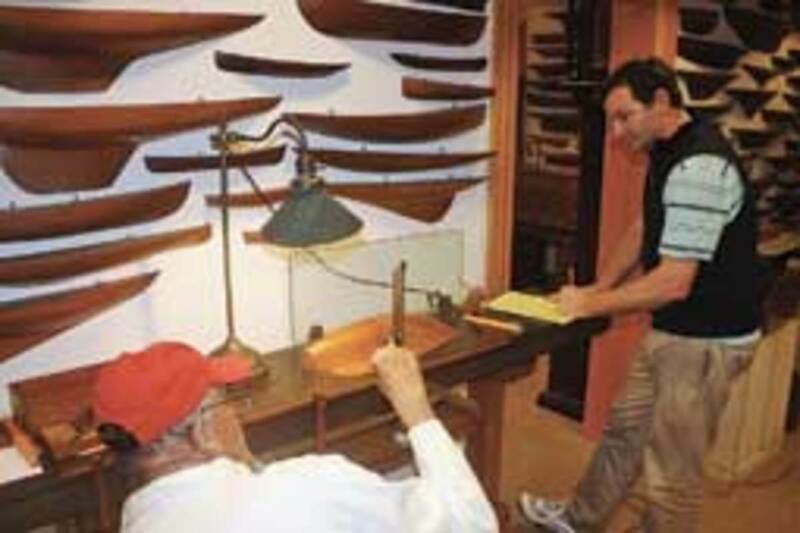 Reineck & Son to original Herreshoff Manufacturing designs. The H-20 will come with a Marconi or optional gaff rig, with spars of varnished Sitka spruce. Alternatively, a carbon-fiber Marconi rig will be available. How&apos;s that for some Bugatti-like technology in a boat whose lines were carved 83 years ago? The H-20 carries a sailaway price tag of $85,000, which looks downright humane compared with a $2 million Bugatti convertible. 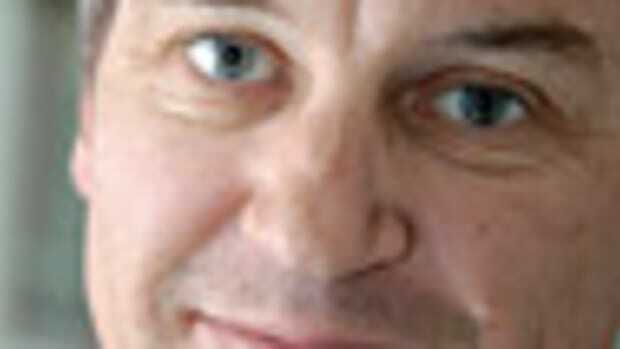 I think I sublimated macho eroticism by envisaging myself crisscrossing Narragansett Bay on an H-20. 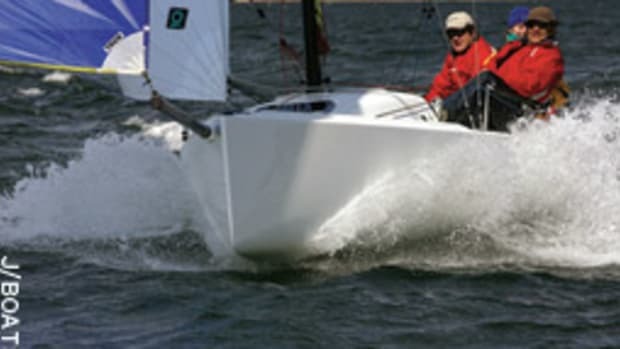 The folks at Herreshoff Designs hope it will blossom into a class and a club racer that also could be used for training so novices can experience sailing the way it was when Capt. Nat held the reins on Burnside Street. And why not? If proximity breeds familiarity, they are as close as one can get. "We occupy the same premises. We eat, sleep and breathe the Herreshoff details," says Langerman, adding that this boat "will show the world what a true Herreshoff needs to be like."